Old Sarum is the second oldest continuously operational aerodrome in the United Kingdom. 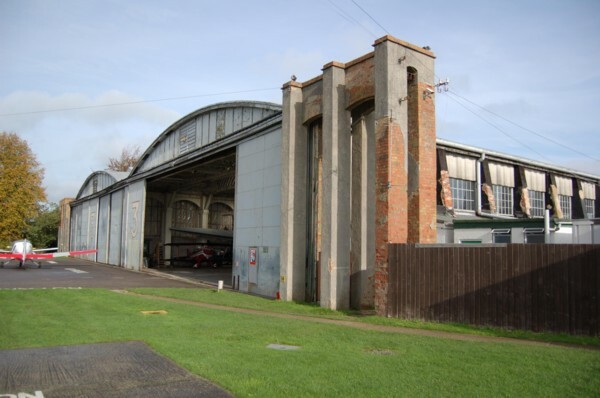 Its aviation history goes back to 1917 when it was requisitioned from farm land for use by fighter and training aircraft.In 1917 four large hangars were constructed using the Belfast type of roof truss which was popular as well as cheap. 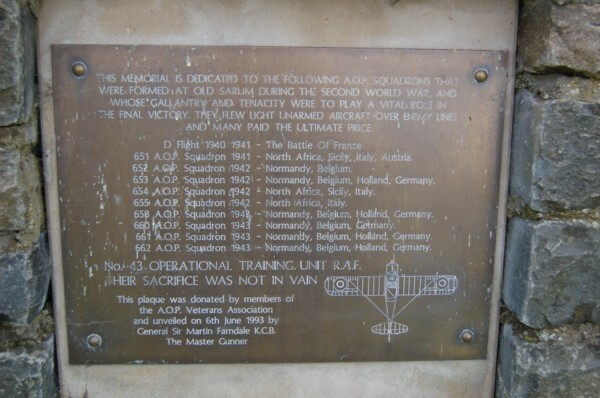 There are other examples still standing at Duxford. This type of hangar was still being built in the 1930’s and supplied by D Anderson & Son of Manchester. 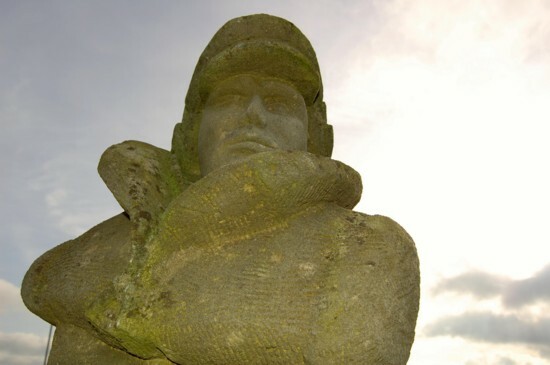 In 1920 Old Sarum became the home of the School of Army Co-operation later renamed the School of Air Support then the School of Land Air Warfare. The School of Land/Air Warfare amalgamated with the Amphibious Warfare School (Poole) and was re-titled Joint Warfare Establishment. The Joint Helicopter Tactical Development Unit also operated from Old Sarum and worked in liaison with the J.W.E, operating the last whirlwind HAR7 in Service. Post War flying concentrated on Ansons, De Havilland Dominie and Chipmunks, plus 622 Gliding School A.T.C. Salisbury Conferred the Freedom of the City upon RAF Old Sarum on June 26th 1956, and granted the unit a signal honour on November 5th 1962, which allowed it to incorporate part of the Coat of Arms into the Station Badge. Among the types that have flown from Old Sarum on operational service are the Bristol, Armstrong Whitworth Atlas, Hawker Audax, Westland Lysander and more recently Hercules, Andovers, Harriers and Whirlwind, Wessex & Puma Helicopters. 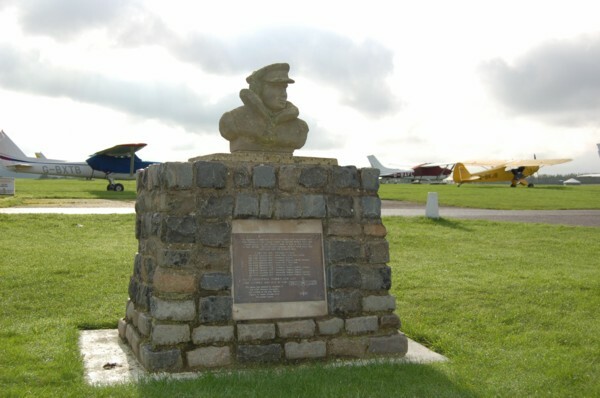 In 1971 the Royal Air Force station closed and general aviation aircraft continued to fly from the airfield alongside the Army Flying which again had a presence here. The station closed as a military base in 1979 although the Department of the Environment continued to use many of the buildings. Many of the privately owned aircraft based at the site continued to fly from Old Sarum and soon the airfield was also used by Edgeley Aircraft for construction of the Optica Spotter plane. This production moved to Hurn after a disastrous fire in January 1987 which destroyed several aircraft including the unique Lockspeiser LDA. New owners took over from Edgeley and had made plans to create a large commercial estate but the economic climate curtailed these plans and light aviation became the order of the day in the 1990’s. Old Sarum Flying Club was formed in 1992 and took on the running of the airfield, together with the maintenance of some of the historic buildings.